My 2016 Holiday Gift Guide was so fun to put together. 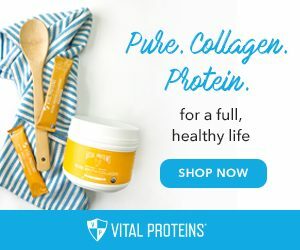 Picks include affiliate links and direct links for easy shopping. I hope you find something special for someone you love! I adore these inspiring Mantra Band A good friend bought me LIVE WHAT YOU LOVE for my birthday last year and I always layer it with my other bracelets. I love feel good jewelry. This is the perfect gift for a friend, sister, co-worker or teacher. Give your family something to rise and shine about — 75 amazingly good recipes that everyone will love. 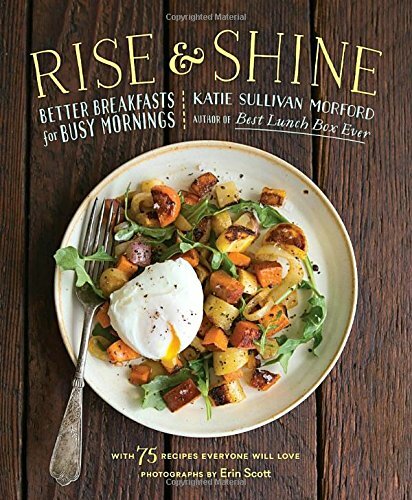 Written by my friend and fellow RD, Katie Morford of Mom’s Kitchen Handbook this awesome collection of breakfast delights will make the first meal of the day worth waking up for. 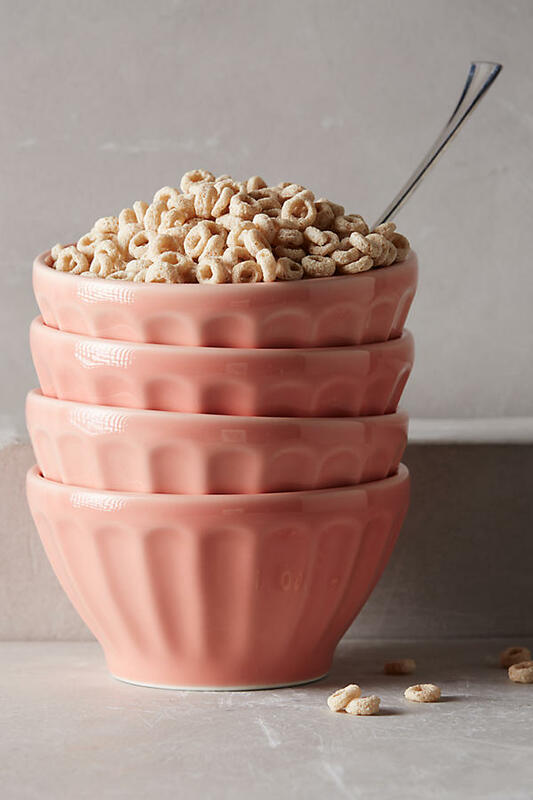 Surprise the breakfast lover in your life with this cookbook here. 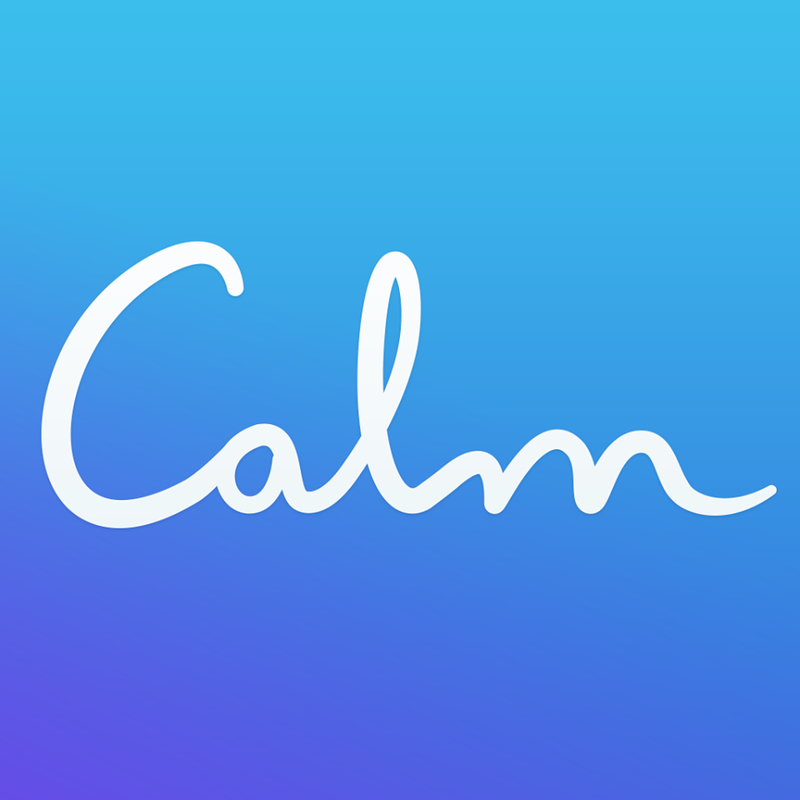 One of my favorite apps right now is the Calm for the iphone. It’s a quick and easy way to get some peace and serenity into your life, right when you need it. I love listening to a waterfall sleep story before bed or the sound of waves crashing on a beach while I work. 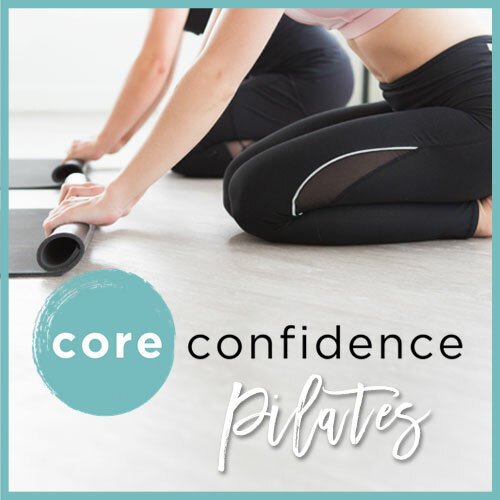 Give someone you love a little zen with guided sessions and tips for managing stress. A meditation subscription might be the perfect gift for everyone I know. I recently attended a chakra clearing in a salt cave and I’m now pretty much obsessed with the power of Himalayan salt to heal and soothe my soul. Crazy, right? Hey, don’t knock it ‘til you’ve tried it. 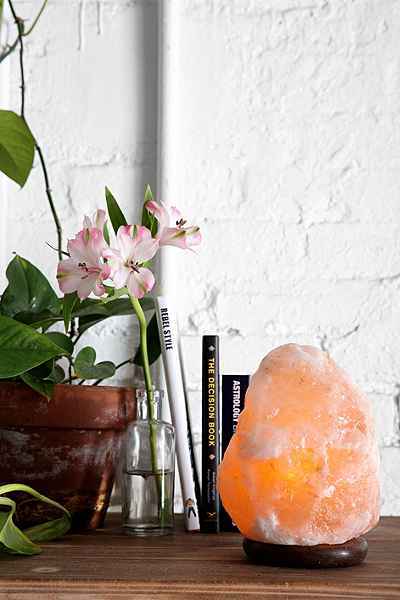 This super cool 100% rock salt lamp from Urban Outfitters is a symbol for me to stop stressing out and get focused on the present. I love it for my desk, but it’s perfect for any peaceful nook in the home. Buy it here. These Beautycounter from Beautycounter are the perfect one-stop-compact for any gal on the go! Both palettes mix best sellers and a few new shades for just the right balance. Added bonus: BC uses porcelain flower extract in their powders, a Thai bloom known for its antioxidant benefits to help moisturize the delicate skin around the eyes that creates a flattering, luminous effect. 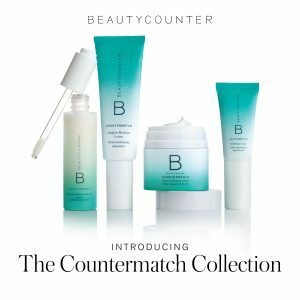 Check out all of the Beautycounter holiday gift sets here. I absolutely love Stitch Fix. I’m a little obsessed, actually. I’ve received over 30 of these lovely square boxes to date. I’ve introduced Stitch Fix to most of my friends and family..even my 70-something mom loves getting her box! 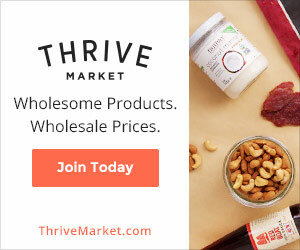 Stitch Fix is like having your own personal stylist on call: just complete a style Profile and their stylists handpick a selection of five clothing items (plus jewelry, purses & shoes) unique to your taste, budget and lifestyle. You buy what you like and return the rest (shipping is free both ways). If you buy all 5 pieces, you get 25% off the entire box! 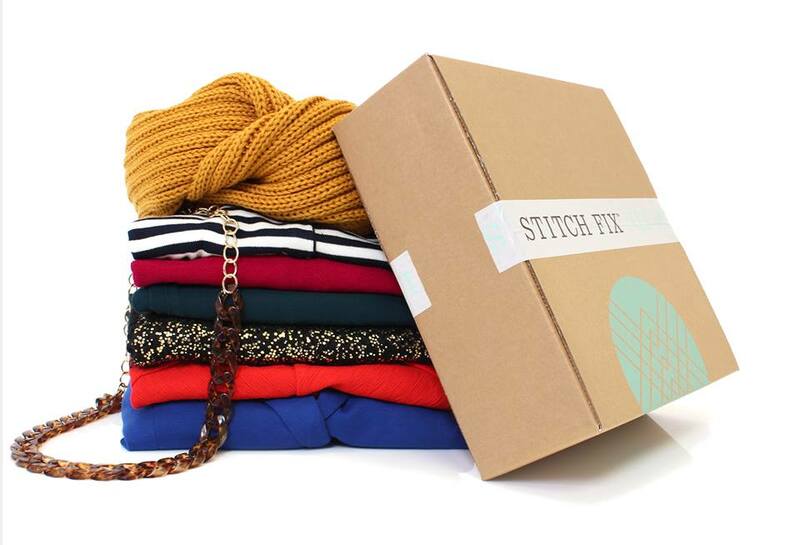 A $25 Stitch Fix gift card allows your friend to try the service for free. It’s a genius idea! You give the gift…they deliver the perfect present. Grab a few gift cards here. You can’t have too many cake servers….a fact I know to be true. 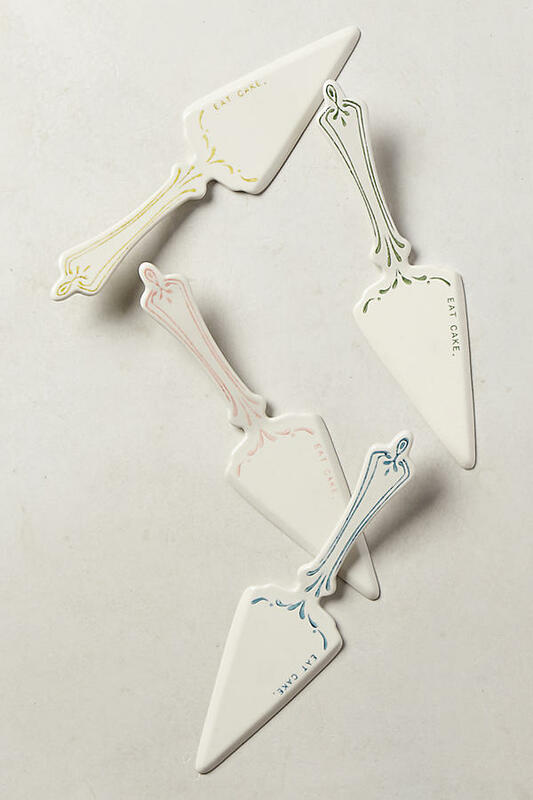 This Maelle Cake Server from Anthropologie is adorable and will be sure to please the baker on your list. Click here to buy. 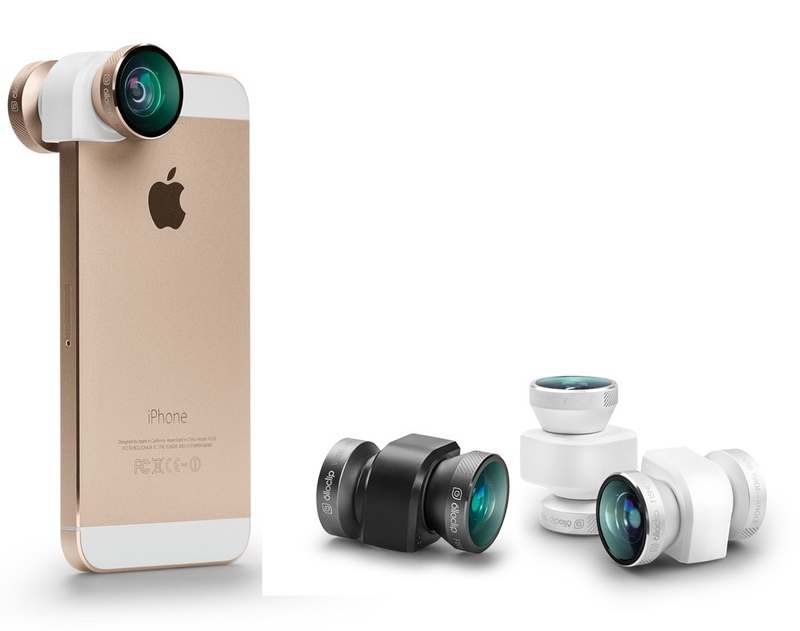 This Olloclip might be the coolest phone gadget – EVER. It’s a 4 in 1 lens that you clip onto your iphone that allows you to take fisheye, wide-angle, macro, and 10x & 15x photos in seconds. It also weighs in at less than an ounce. This bad boy is going on my own Christmas list for sure. 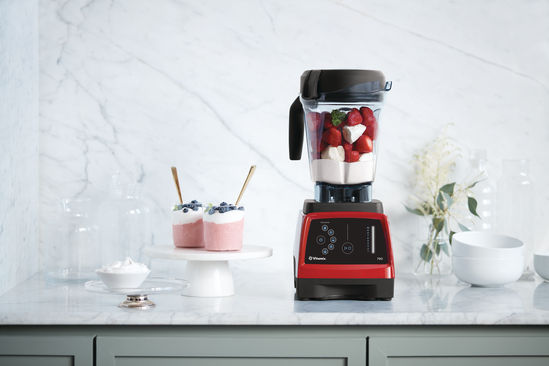 A new or reconditioned Vitamix might be the very best gift EVER! It’s definitely my favorite kitchen gadget of all time! I use my machine every single day. It’s by far one the best kitchen appliance investment I’ve made (and I bought mine as a reconditioned model). 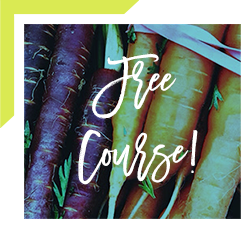 In December, you can save up to $90 on a new qualifying machine on Vitamiz OR you can click here to learn how to get a reconditioned machine. 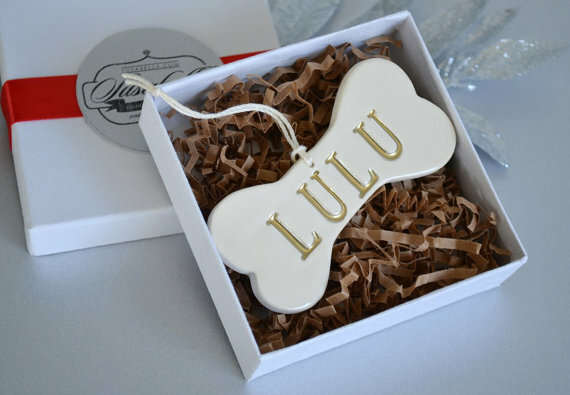 I just love this handcrafted ornament stamped with your favorite pet’s name. It’s super cute and a great gift for that special dog (or dog lover) in your life. 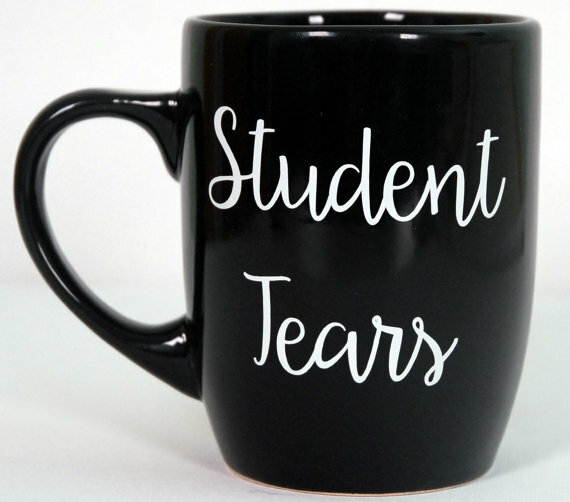 I love this super cute mug idea for that special teacher in your life. I’m thinking Miss Long might be receiving one of these this year. It’s snarky and a little dark, but that’s why I love it. 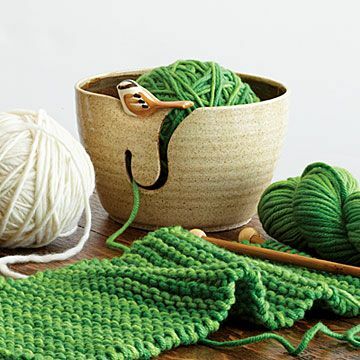 Such fun ideas Danielle! 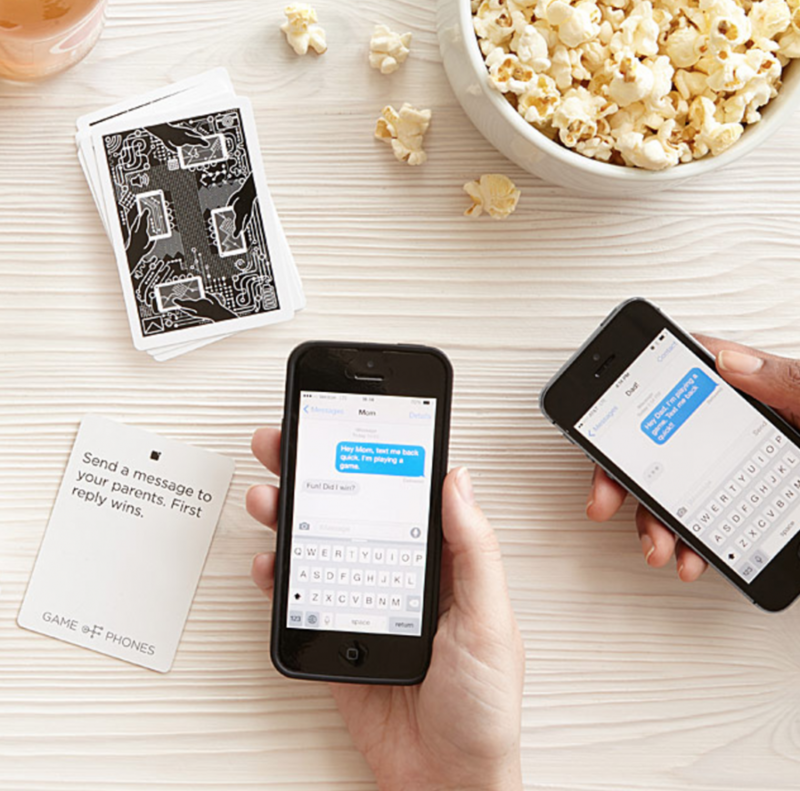 Loving those mantra bands – may have to buy some for myself as a bday present 🙂 That game of phones looks pretty fun too! So many great ideas here Danielle! I love Katie’s cookbook and those bracelets are adorable! LOve love those cake servers – may have to get one for my own stocking! 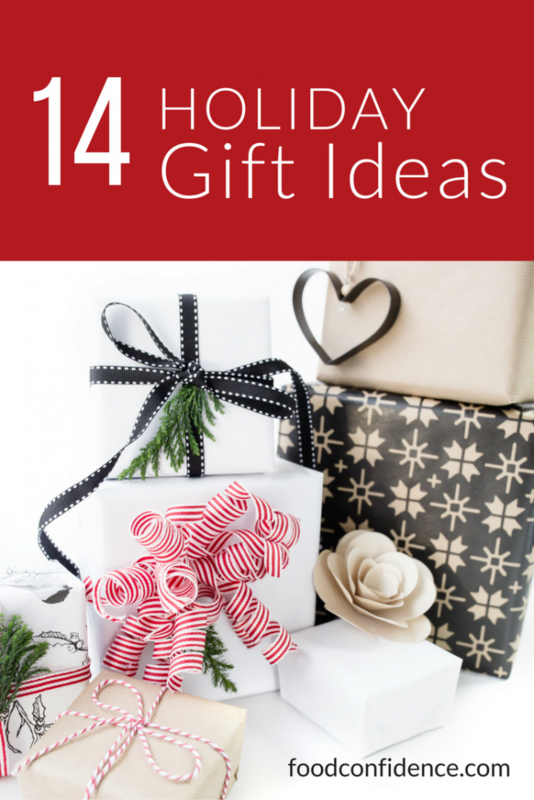 Love, love, love these fun and unique gift ideas Danielle! I just added a few more ideas to my wish list! Great round up! Love the variety of gift ideas! OH and I want one of those mantra bracelets! !